I was about to hop on a conference call yesterday afternoon (yay) when I heard a plane circling nearby. I assumed another tourist fell off the edge of Pacific Grove and the Coast Guard was looking for them. 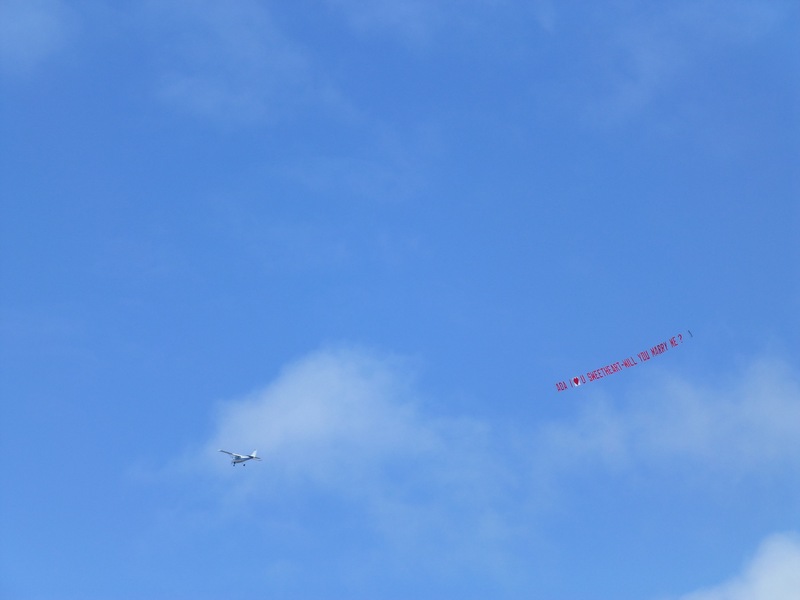 Still, I went outside to look up–and saw this message to Ada. The sweetness of the message coupled with the old schoolness of the delivery was just a delight. I posted a shot of the banner on Instagram, wondering what Ada said, and was happy to get a comment from her this morning. She said yes! Romance is alive in Pacific Grove.